Back in 2010, when I was working at Country Club College, I turned 29. My student staff seriously made my birthday rock… and it started with balloons. My staff was sneaky and got into my office and filled it with balloons for my birthday. 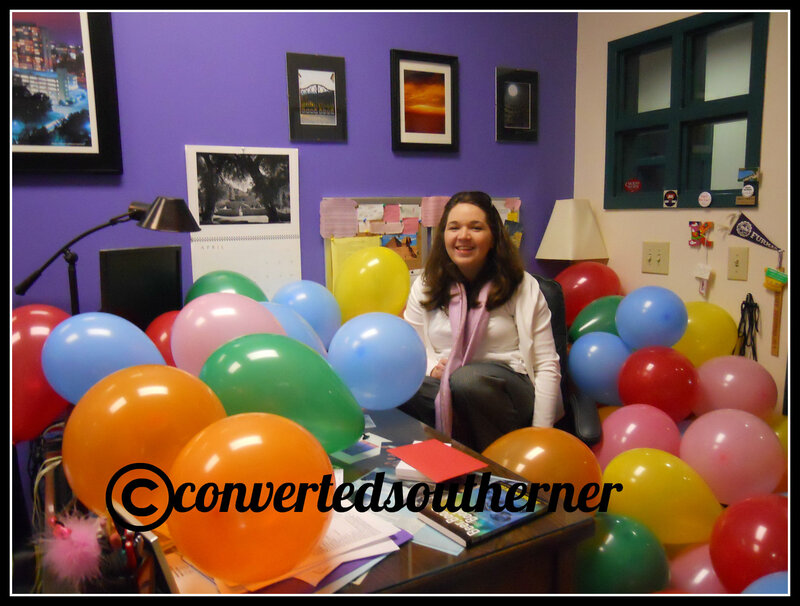 My staff worked with some of my colleagues and filled my entire office with balloons. I mean, I could not get to my desk. It was awesome. Granted, I knew something was up when I got to work that morning because my co-worker Eddie was ohsosuspiciously standing around with his cell phone trying to capture my reaction on video. It was pretty classic though. Great students, great Thursday, great memory.